We’ve provided you with a few case studies before proving how effective influencer marketing is to promote businesses. From top brands like Nike to startups like YouFoodz, businesses are executing successful campaigns involving influencers. When Tommy Hilfiger Eyewear wanted to launch their SS16 eyewear collection, they realized that it would be a huge challenge to stand out in an industry that’s highly competitive. So they decided to work with IMA, an influencer marketing agency, which helped them build an online community held together by leading influencers. The goal was to use the reach and authority of the influencers to build hype around the new collection and attract the brand’s target audience. The influencers initiated a content creation trend centered on the hashtag #WishYouWereHere. These influencers were able to inspire their audience to create their own content using the hashtag, helping the brand reach a wider audience. To further maximize the impact, the brand also shared the content created by influencers through their social media channels. They even promoted the initiative through in-store events. As a result of this powerful initiative, the campaign managed to get 27.4 million impressions, which is 222% higher than the campaign benchmark. There were 367 earned posts created and 682 complete contest entries. 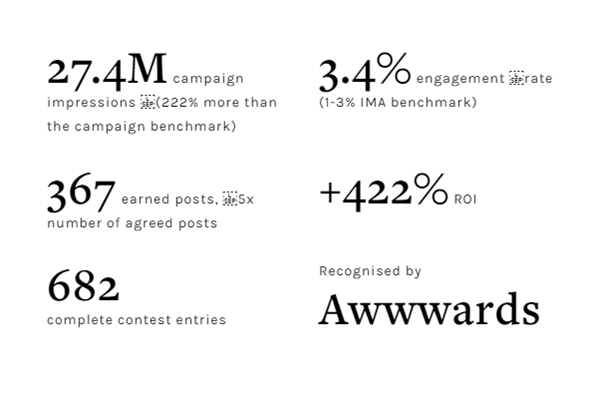 The campaign engagement rate was at an impressive 3.4%, and Tommy Hilfiger got an ROI of 422%. Pro Tip: Come up with a unique hashtag that influencers can promote to encourage more user-generated content which will, in turn, increase visibility. 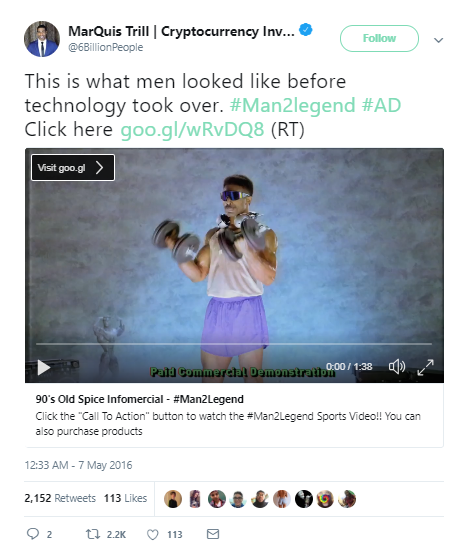 For Old Spice, influencers played a vital role in the success of their Hardest Working Collection. The brand worked with RhythmInfluence to connect with everyday influencers who could generate buzz and build excitement for the launch of the collection. There were more than 4,500 influencers who shared their personal stories, explaining what a male legend is to them. The main focus was on themes relevant to the brand such as boldness, humor, and strength. Top influencers like MarQuis Trill were among those who helped make the campaign a success. The campaign was able to reach more than 202 million people and generated in excess of 52,000 engagements. The man2legend website garnered 200,000 visits due to the campaign. Pro Tip: Have influencers share relatable stories relevant to your brand that will have an emotional impact on your target audience. Cardlytics works with thousands of financial institutions by helping them collect purchasing data and creating cash back programs for debit cards. They wanted to work with influencers who could help them raise awareness about the cash back programs available with their banking partners. They also wanted to educate the audience about the program’s convenience and the easy process of claiming rewards. So the company partnered with Everywhere Agency, which helped them collaborate with influencers who could reach their target demographics. These influencers then created blog posts and social media posts relevant to finance with personal tips on saving money. Since this type of content gets a lot of SEO clout, the blog posts are still engaging consumers, even today. The campaign resulted in 30.7 million impressions, and helped increase awareness about the programs available under Cardlytics. The results impressed the banking partners as they managed to get a lot of positive exposure, helping improve their chances of future partnerships. Pro Tip: Have influencers create content that is relevant to your brand and useful for your target audience. Choose topics that have SEO clout to create evergreen content. Hiland Dairy needed to raise brand awareness and ensure that more people learned about their quality dairy products. They also wanted to expand their consumer database by organizing giveaways and getting more email signups in the process. So they decided to launch an influencer marketing campaign with Linqia to effectively engage their target audience and spread awareness about their product offerings. For the campaign, Hiland Dairy worked with 27 influencers in the food, parenting, and lifestyle niches who each had an interest in food. The first program involved influencers using the brand’s products in their favorite holiday recipes and encouraging their audience to recreate those recipes. 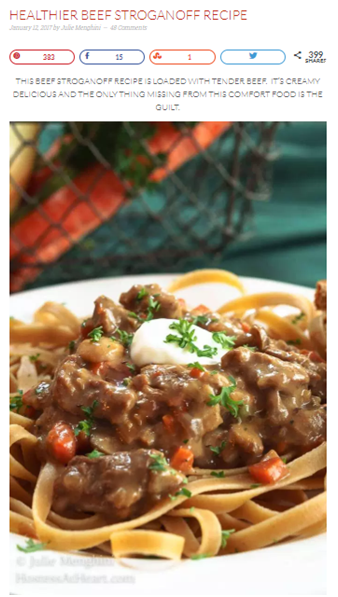 Bloggers like Julie of Hostess at Heart, for instance, shared a beef stroganoff recipe with her readers. The second program was called “Get Healthy with Hiland.” It involved influencers sharing stories about how they implemented products from the brand into their usual health and fitness routines. And for the third program, influencers showed how they incorporate the products into their meal planning regimens. The program was called “Meal Prepping with Hiland.” For these two programs, the influencers encouraged their audiences to sign up for Hiland Dairy’s weekly emails. The number of email signups in the third program increased by 40%. The campaign generated 95 million impressions in total through more than 1600 unique pieces of content. Hiland Dairy also saw 64,000 online engagements from the campaign. Pro Tip: Have influencers create relevant content that will give your target audience excellent ideas for how they can use your product. K Couture is a leading manufacturer and retailer of bridesmaid dresses and formal menswear that are fully customizable. When they started out, they needed to raise awareness about their brand and let their target audience know about the value of their product offering. So they partnered with Zion & Zion to create an influencer marketing campaign leveraging relevant bloggers. The main goals of the campaign were to increase awareness of the brand and elevate it while driving traffic to their website to increase sales. The agency conducted thorough research on the target audience of the brand. They discovered that the primary audience was comprised of brides in search of bridal wear and women who are in search of formal dresses. They also found a secondary audience, which was comprised of women looking for plus size fashion and conservative formal attire as well as faith-based brides. So the team put together a list of influencers who could help reach these two groups of audiences. They then invited these influencers to try the “Design a Dress” tool on the website to see how easy it is to get a customized dress. 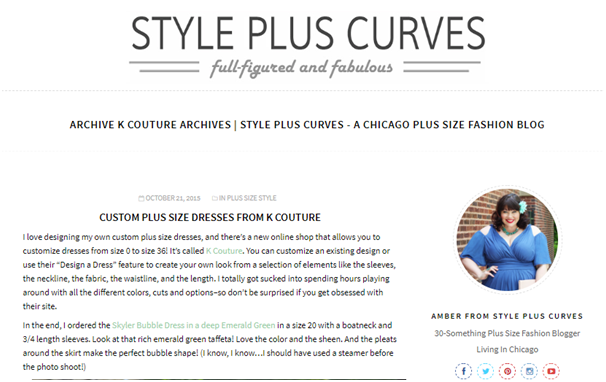 Popular plus-size fashion bloggers like Amber of Style Plus Curves were part of the campaign. The campaign managed to reach 75,453,223 people through the blog posts and 1,438,543 people through Facebook. It also reached 134,506 people on Instagram, 456,386 people on Twitter, and 4,593,982 people on Pinterest. Traffic to the K Couture website increased dramatically, leading to a 349% increase in sales volume. Pro Tip: Identify influencers who are highly relevant to your brand and who can reach the audience you are targeting. Tria Beauty is a brand that manufactures FDA-approved devices for laser treatment. The brand wanted to promote their products with the help of influencers but was experiencing trouble scaling the program. So they started leveraging the influencer relationship management system from Revfluence to find the right influencers and manage their relationships with them. Since the products from Tria Beauty are FDA-approved, it was vital for the brand to work with influencers who had the correct type of skin and/or hair color. The influencers also needed to be within a specific age group. Otherwise, Tria Beauty could risk false advertising penalties. Beauty influencers like MakeupByCheryl, who has 153,000 subscribers, were part of the campaign. 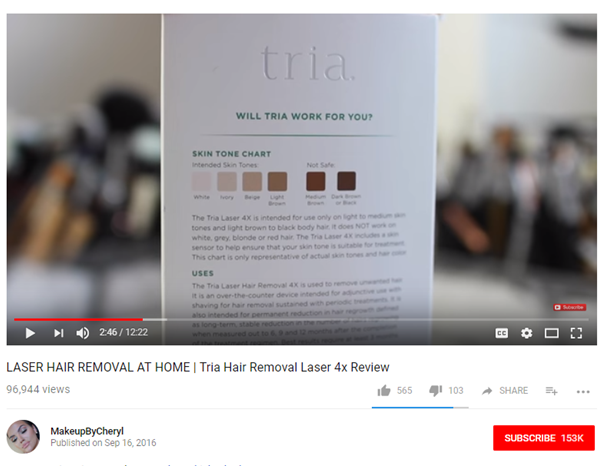 The influencers created videos in which they used and reviewed the products from Tria Beauty. These videos helped answer some important questions that potential customers might have about the products. In total, the influencers created 224 posts for the campaign. These posts generated 12.1 million impressions, and the videos received 146,000 views. The influencer-created content also generated plenty of engagement. There were 11,800 comments and 248,000 likes on the content. Additionally, Tria Beauty received 430 partnership proposals. Pro Tip: Scale your influencer programs with the right platforms that can help you find and connect with influencers who are specifically suitable for your products. Casper is an ecommerce company that provides mattresses that have been obsessively engineered without costing a fortune. It is a company based in New York, so they needed to engage consumers in the city after their initial launch. PR firm, Lola Red, helped put together an exclusive invite-only event in which influencers in the city were in attendance. They invited influential social media personas, business leaders, and community members to a happy hour slumber party with Casper. Every single influencer invited to the event showed up, and each of them shared their experiences at the event through social media. There were more than 50,000 follows, likes, and comments across all their social media channels as the event took place. Pro Tip: Come up with exclusive events to give influencers a unique experience which they can share with their followers. These case studies show how influencers are capable of delivering impressive results. These campaigns can be executed across all sectors, regardless of your product offering. Inspired by these successful influencer marketing programs? Get ideas from these campaigns and start planning your own.